ONICON F-3200 inline electromagnetic flow meters are suitable for measuring electrically conductive liquids in a wide variety of applications. The F-3200 can be configured to provide analog outputs for flow rate, programmable pulse outputs for flow totalization and serial communications via an RS485 network. 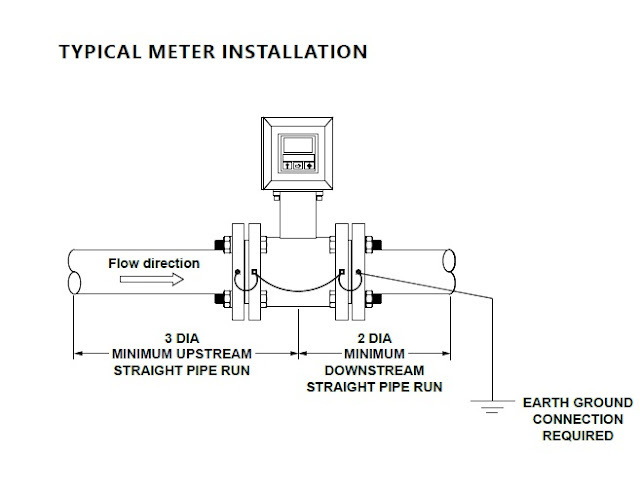 F-3200 series inline meters deliver unmatched accuracy in installations with just three diameters of straight pipe upstream of the meter! Every ONICON meter is individually wet calibrated and programmed for the application - saving start-up and commissioning time! 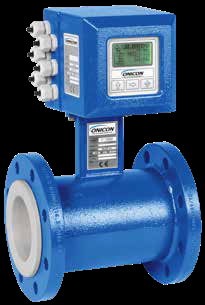 ONICON electromagnetic flow meters have no moving parts and employ state-of-the-art electronics, ensuring years of accurate, trouble-free performance. The F-3200 series inline meters can be ordered with an additional, redundant analog output. This optional feature can provide a cost-effective alternative in Mission Critical applications which require redundant flow measurements. Every ONICON F-3200 flow meter is wet calibrated in a flow laboratory against standards that are directly traceable to international standards. A certificate of calibration accompanies every meter.